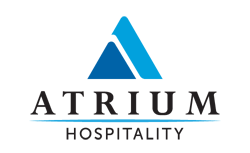 Used soap and plastic amenity bottles from all Atrium Hospitality properties are shipped to a Clean the World Recycling Operations Center, where they are sanitized and repurposed. Clean the World’s simple mission is to recycle hotel soap and save lives. The organization has partnered with more than 4,000 hotels and resorts to put life-saving hygiene products in the hands of those who need them most. Clean the World is a social enterprise dedicated to the mission of saving millions of lives around the world while simultaneously diverting hotel waste from landfills. Clean the World operates soap recycling centers in Orlando, Las Vegas and Hong Kong, and leads a “Global Hygiene Revolution” to distribute recycled soap and hygiene products from more than 4,000 hotel and resort partners to children and families in countries with a high pre-adolescent death rate due to acute respiratory infection (pneumonia) and diarrheal diseases (cholera) – which are two of the top killers of children under the age of 5. Since 2009, more than 34 million bars of Clean the World soap have been distributed in 100 countries. Through its Hygiene Kit Program, Clean the World provides hygiene kits to relief organizations throughout North America.